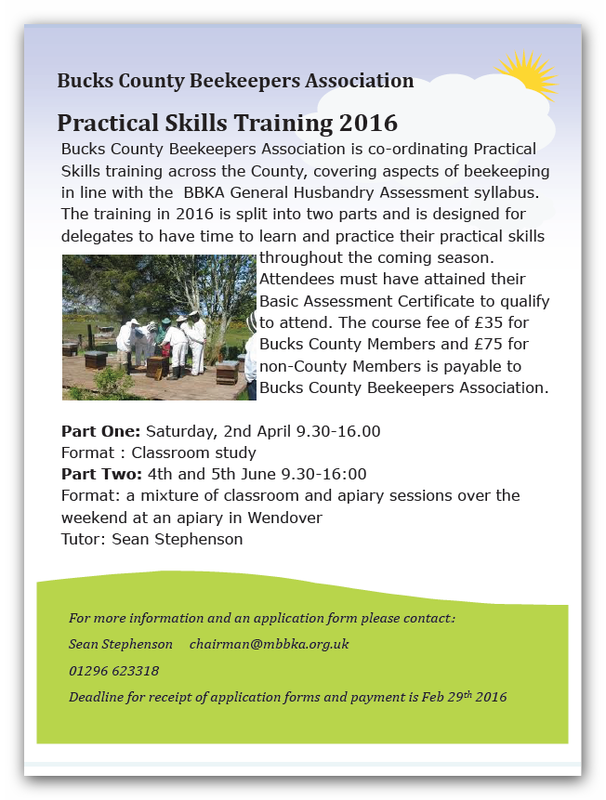 Bucks County Beekeepers Association is co-ordinating Practical Skills training across the County, covering aspects of beekeeping in line with the BBKA General Husbandry Assessment syllabus. The training in 2016 is split into two parts and is designed for delegates to have time to learn and practice their practical skills throughout the coming season. Attendees must have attained their Basic Assessment Certificate to qualify to attend. The course fee of £35 for Bucks County Members and £75 for non-County Members is payable to Bucks County Beekeepers Association.